You might be surprised at how many ways Managed Print Services (MPS) can improve your business. While cost is often the main driver for exploring MPS, its value can touch many other areas of your enterprise. You won’t know how much until you have an MPS assessment. That’s the first step in learning where and how MPS can transform your document environment. Even if you experience just a few of these, Manged Print Services can bring significant change. The more problems MPS can solve for you, the better your MPS ROI. An MPS assessment offers data-driven guidance for fast, long-lasting improvements. You may need an assessment — and Managed Print Services – far more than you realize. Ask one of our Image Source product specialists at 909-890-4040 to learn more about our PrintCare Managed Print Services, or click the link below to fill out an information request form. Image Source is America’s’ #1 Xerox Agency. Serving California since 1988, they offer a full line of Copiers, Multifunction, All-in-One, Wide Format, 3D Printers, and more. 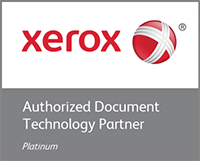 A leader in Managed Print Services, they help their customers capture the full potential of their investment in hardware and cloud services. Image Source has helped both large and small organizations – in every industry from healthcare to education and manufacturing – to achieve better financial results, improve operational efficiency and reduce their environmental impact.